Thrifty and Frugal Living: Totally Awesome Amazon Giveaway - TWO readers win $500 Amazon Gift Cards! 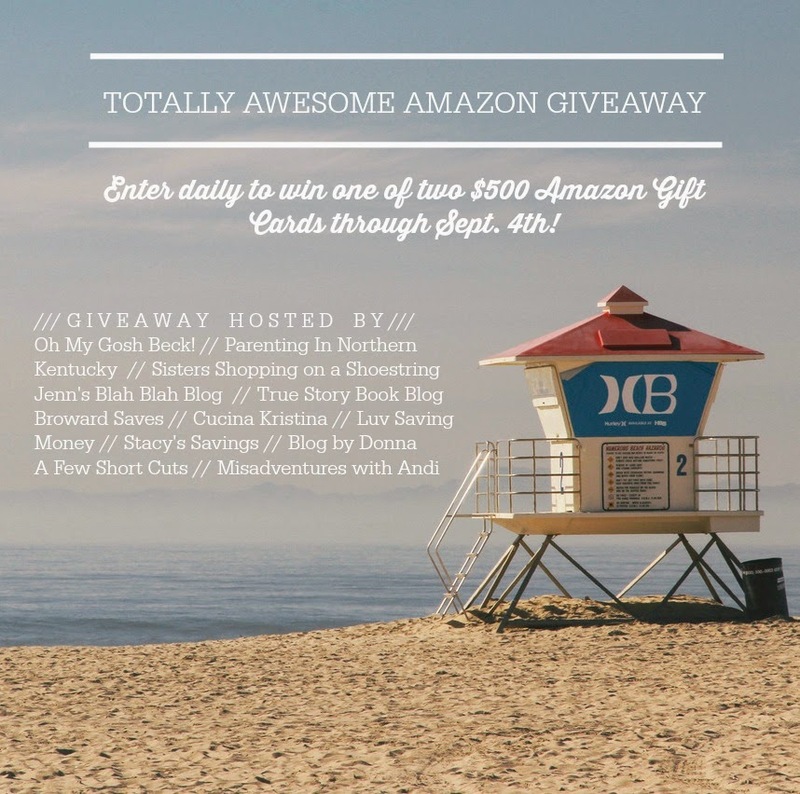 Totally Awesome Amazon Giveaway - TWO readers win $500 Amazon Gift Cards! Do you love Amazon as much as I do? I am always buying something from Amazon. Not only do they have everything I need for cheap, but they ship it to my door in two days. They also make gift buying for out-of-town family easier. My blogger friends and I are giving away $500 Amazon gift cards to two of our readers this month! If you want to be one of the lucky winners, here’s what you need to do - bookmark this page and come back every day to enter and earn bonus entries by sharing the giveaway with your friends on social media. Good luck! Rules: Use the Rafflecopter form to enter daily. Besides the mandatory blog comment entry, all other entries are optional. Giveaway ends 9/4 and is open worldwide. My hubby always cheers me up if I have a bad day. He is the best! The dogs always cheer me up. They are always doing something that makes me laugh. Listening to music always has a soothing effect! Watching an episode of the Golden Girls! When my kids play sweetly together or say they love each other. playing cards with my hubby! watching a football or a hockey game! spending time with my husband! When my cat jumps up and sits on my lap I feel much better on a bad day. Going in my backyard and gardening and taking care of the cats from the neighborhood that need food. Spending time with my kids! Thanks so much for the fantastic giveaway! It's amazing how much sunshine helps. Just a quick walk in the bright daytime picks me up immediately. Watching one of my fav movies! My husband can always cheer me up! being around little kids- you never know what they're going to say!